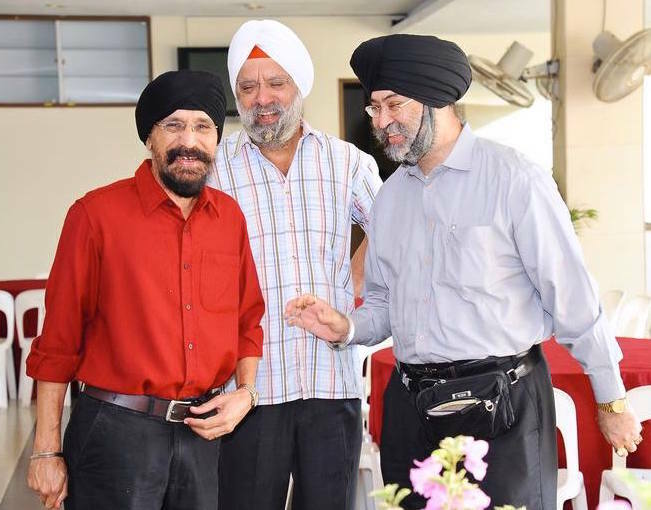 The Singapore Khalsa Association (SKA) had a change of leadership at its recent annual general meeting (AGM) with former army officer Lt. Col (Retd.) Charanjit Singh making way for senior civil servant Mohinder Singh. The leadership change comes at a momentous time for SKA as it sees major renovation works to its iconic Tessensohn Road clubhouse completed this year. Mohinder said the new team will build upon the work done by the previous management committees to ensure that the SKA continues to remain relevant to the evolving needs of the Sikh community, including the role of the SKA building. “We will aim to make it the social, cultural and sporting hub for the Sikh community. It should be an inviting venue for families, and a place for young and old,” he tells Asia Samachar. The SKA headquarters, home to the organisation founded in 1931, is popular among both Sikhs and non-Sikhs. Mention it to cab drivers and they will know immediately where it is. The building is also the choice venue for most Sikh weddings in Singapore. Charanjit stepped down after six years at the club’s helm since 2010. During his tenure, in a bid to enhance the Sikh community’s bonding with other communities through sports and cultural activities, he had established relationships with the National Integration Council and the People’s Association. He also steered efforts to refurbish the dilapidated SKA building which was built in the late 1960s. These efforts were geared towards better serving the evolving needs of the community, bearing in mind the intention to promote SKA as a hub for social, cultural and sporting activities. 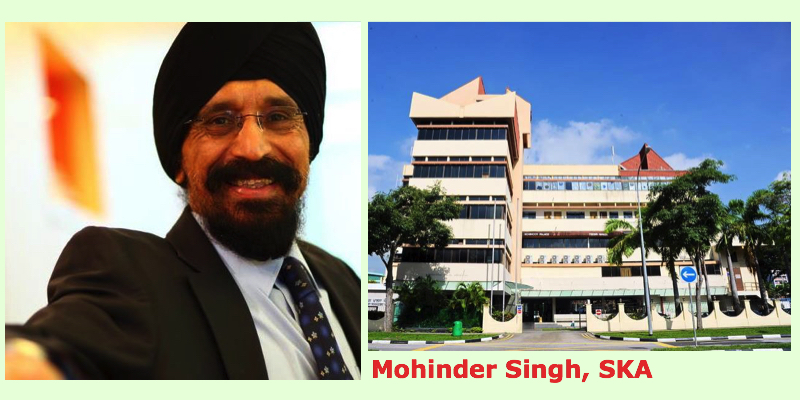 His successor Mohinder is no stranger to SKA having held various positions at the association for more than half a decade, including as vice-president from 2010 to 2016. One of his principal responsibilities over the past two years is as Chairman of the Building Committee set up to refurbish the SKA building. Mohinder, who retired as a senior policy-maker at the Land Transport Authority (LTA) and is now an Advisor to the LTA Academy, will be assisted by a team made up of a good blend of youth and experience. The two vice-presidents, for instance, Gurrinder Singh Johal and Gopal Singh, are seen as stalwarts at SKA. The SKA building has always been a symbol of the Sikh community in Singapore. The refurbished building, almost brand new, will provide new and enhanced facilities. We will aim to make it the social, cultural and sporting hub for the Sikh community. It should be an inviting venue for families, and a place for young and old. Strengthen the focus on sports. SKA should be seen as the natural choice for our youngsters to do their sports, and represent it in competitive league tournaments. We will promote the development of our sportsmen and sportswomen and help them attain their potential, and recognise those who represent the nation. We hope to develop and elevate hockey, as it was in the 1980s when SKA was the premier hockey team in Singapore providing many players to the national team. More cultural activities and shows. Through our collaboration with the Indian High Commission, and others, we will bring in more plays, drama performances, etc., which promote the vibrant Punjabi culture, family values and respect for elders. Previous articleAWAT: The Terrible Two’s Again?